Shyloh Belnap: Mandi has a DARLING class for you to take! Mandi has a DARLING class for you to take! We haven't posted in awhile! So Sorry! Scrapbook USA was a HIT! It was great to see people in person and to hear that the kits are so well received! It was just the oomph I needed to feel ok with the 2 weeks I worked 18 hour days! Well, I have another exciting thing.... A NEW CLASS! 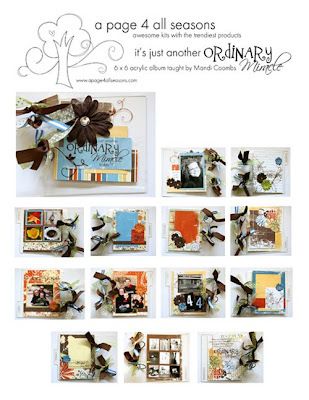 We will be teaching this class at the Overnight retreat and it is sooooo cute in person! You can either attend the class or you can order the kit to be mailed or picked up. It is an acrylic album, check out the site to see the details, but here is a pic!